In another dimension, my punk rock '80s self is no doubt drunk on schadenfreude with today's somewhat surprising announcment that Al and Tipper Gore (of 1985's Parents Music Resource Center fame) are, after four children and 40 years of marriage, divorcing. And while current me does not delight in the disolution of any seemingly solid relationship, the cognitive disonance I have suffered for years regarding the man who campaigns tirelessly to save polar bears (in conjunction with the rest of the planet) and one of the women responsible for lables on music, is somewhat resolved. But enough about me. 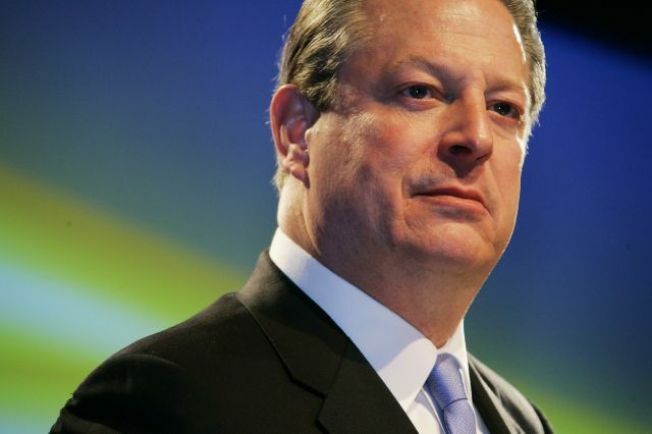 What does Twitter think about the Gore divorce? Natch, it didn't take long before "Gore" and "TipperGore" hit the microblogging site's top trending topics. But credit goes to New Yorker humorist Andy Borowitz (@BorowitzReport) for taking lemons and making Twitter lemonade, launching the wittiest hashtag of the trend: #GorePickUpLines. Borowitz was responded to this tweet from author and MSNBC contributor Touré (@ToureX): "Can't imagine Al Gore trying to date. "Do you know how much that dress is contributing to global warming? Cuz you're makin me hot!"